Scientific Marketers from around the U.K flocked to the inaugural Marketing Science Roadshow at AZoNetwork’s Neo Lounge in Manchester, England. To begin with, we heard from CEO Dr. Ian Birkby who told the story of how a scientist with an ambition to share his technical materials engineering knowledge within a peergroup of a few dozen grew into a network which today has over 87 million researchers, engineers and industry professionals. Ian then discussed the fast pace of the ever-changing marketing technology landscape and highlighted the maze of 5,000 or so digital platforms from the current ecosystem through which the modern marketer must navigate. Mychealla Rice, Head of Content Distribution then walked us through her extensive research of over 500,000 content items into what makes great content: CTAs, user experience, target personas and more were discussed as ingredients in the recipe for success. Dave Cockett, Head of Web Services guided the audience through the 3 key principles underpinning any successful search campaign and how Google optimises search results for the user. 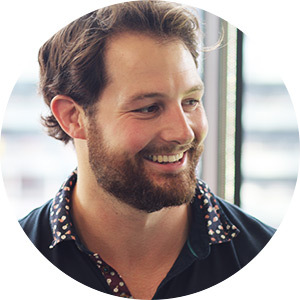 We then heard from our resident Digital Guru, Will Soutter, who used his years of experience to distil a vast email marketing data set into actionable insight and more importantly, a winning formula for email marketing success. Next up, Chief Videographer Kris Walker shared his knowledge of how video can be used to bring Science to life. Having filmed over 250 videos for Scientific enterprises, Kris demonstrated his ability to weave a compelling narrative through even the driest of subject matter. We then had a live Q&A with Andy Adams, Sales Director of Masteel UK who detailed his experience and challenges of implementing effective SEO and Digital Marketing strategies to an audience of technically minded scientists researchers and engineers. After the main introductions, the crowd were encouraged to grab some refreshment and disperse to the individual stations where they could learn more about best practice in each of the areas. Following much demand, the Marketing Science Roadshow heads to Cambridge on Wednesday 2nd May serving London and the South East. We will have more insights including presenting the behaviours of B2B scientific purchasing teams and the state of Scientific Marketing. The recent roadshow was very useful for learning about the latest techniques within digital marketing. I found the video storytelling and the pscychology behind email optimisation the most useful and will be applying those tactics to our strategy in the future. I spent a very informative afternoon at the Marketing Science roadshow which introduced the increasingly important aspects of digital marketing from content creation to understanding analytics. The presentations were concise and gave insights that could easily be applied to my marketing activities. It was encouraging to learn that even the simplest things can make a significant impact on how effective our sales and marketing activities are.